In 1890, on Indian reservations across the West, followers of a new religion danced in circles until they collapsed into trances. In an attempt to suppress this new faith, the US Army killed over two hundred Lakota Sioux at Wounded Knee Creek. 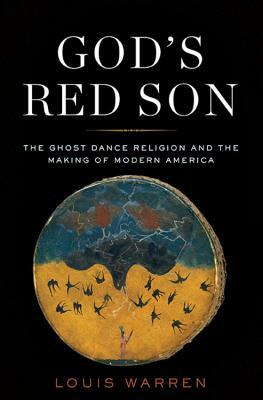 In God's Red Son, historian Louis Warren offers a startling new view of the religion known as the Ghost Dance, from its origins in the visions of a Northern Paiute named Wovoka to the tragedy in South Dakota. To this day, the Ghost Dance remains widely mischaracterized as a primitive and failed effort by Indian militants to resist American conquest and return to traditional ways. In fact, followers of the Ghost Dance sought to thrive in modern America by working for wages, farming the land, and educating their children, tenets that helped the religion endure for decades after Wounded Knee. God's Red Son powerfully reveals how Ghost Dance teachings helped Indians retain their identity and reshape the modern world. Louis S. Warren is the W. Turrentine Jackson Professor of Western US History at the University of California, Davis. The award-winning author of several books, Warren lives in Davis, California. "In God's Red Son, Louis Warren offers an original, compellingly written and clear-eyed chronicle of native cultural transformation and ordeal." "[God's Red Son is] an enlightening scholarly study of American Indian history... [An] astute new appraisal [of the Ghost Dance religion]... This is an eye-opening work of American history." "An engrossing, readable, and carefully researched history plotting the rise, spread, and continued life of the Ghost Dance among Native Americans...The work will delight fans of well-written history and appeal to historians of the West, Native Americans, and religion." "[God's Red Son] is a complex work that has much to teach us about the social sciences and anthropology. While of obvious academic interest, the book will also appeal to general readers curious about Indian history and religion." "God's Red Son is riveting and transcendent-a magnificent new interpretation that reveals the Ghost Dance as a beacon to modernity, lighting the way to the future. Like Wovoka himself, Louis Warren speaks to all of us navigating the difficult terrain between past realities and present prospects." "Louis Warren is one of the most original historians writing today. He has an uncanny ability to see what others have missed and to convey it in a clear compelling narrative." "Louis Warren's Buffalo Bill's America leapt past decades of writing to become the definitive treatment of the Wild West show. With God's Red Son, he has done it again, combining scholarly depth and literary brilliance in a magisterial reinterpretation of the Ghost Dance. But more than that, God's Red Son is one of the most powerful accounts of Native American modernity you'll ever read, critical to an understanding of Indian Country today." "With God's Red Son, Louis Warren has written yet another book that is going to re-arrange the mental furniture in our heads. His wonderfully clear prose pulls us effortlessly through a story that has western Indians emerge as entirely modern, and their 19th century Ghost Dance religion as an endeavor many readers will find not just freshly understandable, but spiritually familiar. As was the case with his biography of Buffalo Bill, this book is Warren at the absolute top of his game." "I can't remember the last book I read that so persuasively rewrites what I thought I knew about a much studied topic. Louis Warren's book does that for the Ghost Dance, and, more than that, it allows readers to see anew the history of the era and of all American religions. God's Red Son is truly a revelation." "Forget what you thought you knew about the Ghost Dance. In God's Red Son, Louis Warren delivers an entirely new and convincing interpretation of one of the most significant episodes in the colonization of the American West. A masterwork of investigative history."